In the year 2017, Hrithik Roshan signed his first biopic. 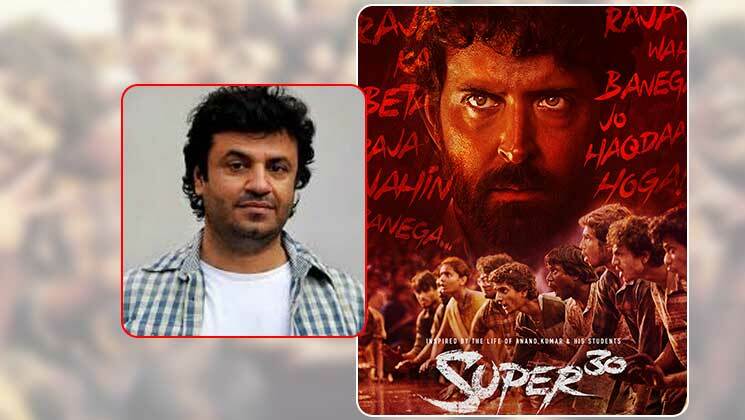 The film is based on the life of mathematician Anand Kumar who runs the Super 30 program for IIT aspirants in Bihar’s capital Patna. Unfortunately, the film has plunged into trouble. ‘Super 30’ was helmed by director Vikas Bahl but after the #MeToo allegations against him, he was dropped from the movie. Bahl is now not part of the movie and the post-production work is still pending. According to a report published in HuffPost India, Anurag Kashyap will now look after the post-production work of ‘Super 30’. Also, there were reports that Kabir Khan will be taking the director’s seat for the movie but he denied the news. While talking to Mumbai Mirror on Tuesday, Shibasish Sarkar, Group CEO of Reliance Entertainment, revealed that the film will have no director credit. He said, “Vikas is not associated with the edit and post-production.” Shibasish further added that Anurag has not replaced Vikas. “There will be no director credit for anyone. As a producer, after a substantial investment of time, money and the efforts of all our technicians and talent, it is our responsibility to complete the film with the best possible resources available to us. Anurag is a partner, he has edited films of other Phantom partners in the past. He agreed to take this responsibility on Reliance’s request, and with a professional and commercial understanding. Also, it has been agreed that he will not take any credit,” he noted. Notably, the film is being produced by Reliance Entertainment and Nadiadwala Grandson Entertainment. It also features Mrunal Thakur, Amit Sadh and Nandish Sandhu. The film will now hit the screens on July 26, 2019. It is worth to mentioning here that the founders of Phantom Films – Anurag Kashyap, Vikramaditya Motwane, Madhu Mantena and Vikas Bahl dissolved the production house last year after seven years of having a glorious run at the box office. It was owing to the #MeToo allegations against the ‘Queen‘ director.